Nokia Pure View 808 with 41 MP vs Canon DSLR - Do megapixels matter ? Nokia recently unveiled the Pure View 808, a mobile phone with a 41 megapixel camera! If you’re on Facebook you’ve probably also seen the gazillion posts about this phone and the obligatory oohs and aahs for it. If you’re thinking of ditching your 10-odd megapixel camera for this phone, think again! 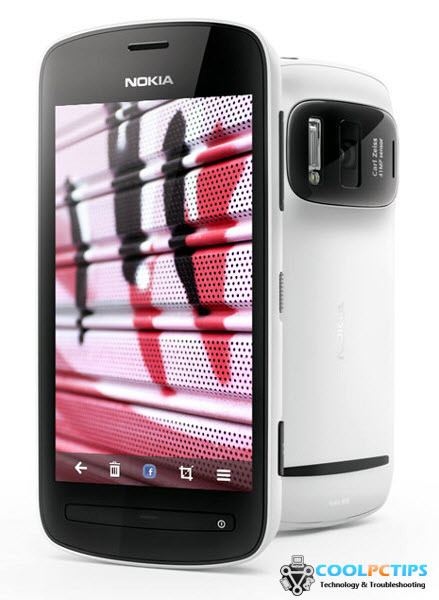 Digital cameras with about 15 megapixels or so can take very good looking photos, just like the Nokia Pure view 808. Hard to believe? Read on. So, on paper the Nokia Pure view 808 has far more megapixels than a DSLR camera which costs an arm and a leg. So why would you get the DSLR camera? The answer, because it takes far better photos than a 41 megapixel camera phone. After a certain point, megapixels cease to matter. 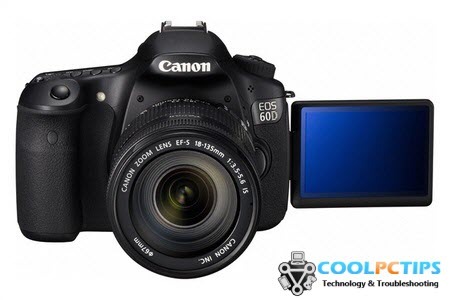 The 808 uses a different technology that basically packs a large amount of pixels in regular 5 or 8 megapixel shots. Sure, you can take upto 38 megapixel shots, but they’re only going to be useful if you want to print a billboard large enough to be seen from a few kilometers away, not your average use isn’t it? The Nokia 808 Pure View crunches a lot of pixels into a single “superpixel” to replicate the actual clarity and richness a DSLR of the same megapixel count. For a reference, let it be known that the extremely clear HDTV’s have about 2″effective” megapixels. Basically, if you’re a photographer, a solid DSLR camera will be the best choice no matter how many megapixel camera a phone might have. A high megapixel count from a phone camera can produce a large image, but not a precise and good looking image. An actual camera will produce much more beautiful photographs. For photos to actually look good, the device must have a large and high capacity lens and sensor. Only with them one can expect clear images with rich and vibrant colors. Photos taken in less than well-lit environments also turn out to be good only if the camera lens and sensor are of high quality. So there you have it, sure the Nokia 808 Pure View might click better photos than most of the phones out there but it’s definitely not a replacement for a good camera. Also, in general don’t be fooled by “more is always better” in the case of megapixels in a camera. Shop smart! Mega pixels not matters even 3.2 MP with 18-400 mm lens shoots brilliant images like moon, sea in such a technical views pixels matters only to expand like posters.. fools will buy this phone. The point of this device was not, primarily, to impress with pixel counts, but to produce truly excellent photos while simultaneously keeping the whole package reasonably compact – phone ready. Well said. IMO, this reviewer’s article has been poorly researched as it really doesn’t cover the fundamental approach taken by Nokia’s new Pureview technology. For sure, size does matter when it comes to quality optics, so a decent DSLR will retain many advantages over a camera phone. That being said, Pureview dramatically closes the gap for those who require a compact approach for daily use. It’s a game changer for those who are considering a digital compact / point & shoot purchase in the near future. Yeah, I come here to see what experts say or compare. Just found “what-i-think” stuffs. You should really take a look at image samples of PureView. Give it a try. All SMART PEOPLE from hi-tech magazines vote PureView as the best camera-thing-on-mobilephone now. Trust me it’s a real game changer. All in all, I’m an iPhone user. I don’t like Nokia. I give up using Nokia for more than 5 years and never want to deal with it any more. But this technology catches my eyes. I don’t know. I will follow it until I hear something newer and more interesting. I don’t know. As a photographer I beg to differ on that one. Try taking a landscape photo at dawn or dusk, or even a portrait photo in front of a setting sun. Even with the aperture ridiculously set at 2.4 a high shutter speed won’t bring out the color, lighting, or detail you’ll need. I like to work without flash whenever possible and I guarantee you can’t get a money shot in low light with a fast shutter. Yes you are right there is no replacement to the digital cameras and mobile phone cameras are just an added feature. i dont know if somebody really used a digital camera (not pointing toward DSLRs)coz my whole trip has been messed up due to crap pictures from a 12 mp samsung digital camera, guess what N8 might have done a better job. The point is mobile phones cant replace a specialised camera (DSLR) and in addition not everybody here is a Photographer, so there is no point of any comparison. but still if u want to ‘SHOP SMART’ then you will end up being bankrupt buying a decent DSLR camera, a good camcorder, an ipod plus a nokia 3310 and yeah an ipad too for internet browsing…or just go “SMARTLESS” and buy Nokia 808!!! I’m a photographer and i have already a 40MP camera, but it weight too much, i suppose that image will be like a canon 400D and that’s what i’m looking for : a camera that i put in my pocket, yes it’s program mode only, but what’s better than this solution? Why buy a compact and a phone when you could buy both in one? Nokia doesn’t pretend that this camera is better than a proffesional camera, but you can’t say that those who will buy this device are fool… A very good camera costs over 1300 Euros and it’s too big to be caried around every day… By other part Nokia 808 will cost only 450 Euros and it’s also a very good smartphone, so this is the smartest choice for non-professional photographers. I’ve never branded anyone buying this phone as a fool, perhaps you can read through and see the neutrality I maintain? Also, I have repeatedly mentioned in the strictly professional sense it’s not a replacement, but I agree it is a good buy for people who want great photos without having to carry around a separate camera. OK geniuses…where can I get one at the best price? I actually want one. but still i will buy this phone coz its having the best camera (mobile) .which will be always there in my pocket.am not going to carry my dslr always with me a photography is my hobby not my profession. you really need to improve your knowledge about technology..
first get familiar with the pure view technology..
and bigger sensor also helps in low light conditionds… its all in the high sensor and nokia pureview algorithms.. which you may misunderstood as oversampling… its a great product..
and finally its not about the megapixels count its how we (NOKIA) use them..
Hello, “you can take upto 38 megapixel shots”, is an exact quote from the article, I never said complete 41 MP shots. The 3, 5 and 8 MP shots are basically crunched images comprised of “superpixels” that are great quality for normal usage but not for professional usage. The megapixel myth is very much present, most people you’d ask would be wowed by a larger number, I simply tried to clarify that DSLR’s have a megapixel count in the range of 15-20 and yet look amazing. It’s clear that the author has not done his research. PureView is NOT a Professional Digital Camera with massive optical assistance to shoot pictures. In many cases, the Nokia 808 PureView can outsmart even very good DSLR cameras that would normally cost three to 7 times as much and come in back-breaking packages that you need to carry around in a backpack. Please note also, that a full fledged Professional camera has a ton of lenses that take care of Aperture and depth of field, Focal length and angle of view, Zoom, Macro, etc. The Nokia 808 PureView has only ONE SINGLE lens that does EVERYTHING. The combination of the PureView Chip and the software that controls the various features and modes as well as the massive pixel-count enables the Nokia 808 Pureview to take images of comparable quality and it does it all efficiently and at a throw-away price compared to professional cameras where you’d buy the basic camera costing about two or three times that of a good DSLR and all the various other lenses coming separately amounting to more than the cost of the DSLR itself. Make sure to click the pictures to zoom in and study them in more detail! The 808 PureView is a very portable high tech precision instrument and is not just a brilliant camera, but a complete SmartPhone to boot. I used to be a Nokia fan before they traded in their gloves to Microsoft, and I promised myself that I’d never buy another device from them. But this time, I’m really very impressed. My next device WILL BE a Nokia 808 PureView. I still hate Nokia, but when I see a good device, I have no problem admitting the fact that I might have judged too soon. For what it is worth, Nokia has certainly out-done themselves this time and I think there’s still hope for them as a competent technology innovator. lol! Cheers to Nokia, they’ve certainly won this round. Thank you for the very well researched criticism, but I have not said that the PureView is a bad buy in any way, have I? In the strictly professional sense, the PureView is nowhere but in normal usage it ranks at the top for clicking great photos in a budget and including a smartphone as well. “So there you have it, sure the Nokia 808 Pure View might click better photos than most of the phones out there but it’s definitely not a replacement for a good camera.” I simply meant it’s a good product, but not a replacement for a good dedicated camera. You have all probably misunderstood, the point of the article for the layman is to educate about the fact that no matter what, a professional with even a 16MP DSLR can shoot better pictures than the PureView. I am not criticizing the PureView in any way, all I meant was that given a professional with a DSLR and a professional with the PureView, a DSLR will give much better results. If you’re looking for almost DSLR quality in a small form factor this is the best choice. Honestly when most see 41 MP on the box they’d assume it’s better than “just” 16 MP. This article aims to bust the myth about megapixels, not about quality or to criticize the PureView. I think people are just frustrated you didn’t empirically prove that the 808 is what you made it out to be… when in fact the 808 is superior to (some) DSLR’s… even ousting an 18 MP from Sony, and coming close (all the 808 needed was some leveling + sharpening) to the D800 in terms of quality. But once you ZOOM IN, you lose the effectiveness because ‘a standard digital zoom enlarges rather than crops the image’. Which is what you pointed out in your article. Exactly my thoughts, The Nokia PureView is a great product when you’re looking at what it offers in one package, but DSLRs are king! Again a great phone by Nokia: – Nokia 808 pureview has a great feature of 41 MP Camera…….. I like the phone due to its features .If you prefer online shopping then you can go through shopbychoice (dot) com; it gives best deal on this phone.